Last time I wrote about an Israeli style “Makolet” in the East Village, however there are other places you can find everyday Israeli products. You would expect to see them in supermarkets with large Kosher sections, like Fairway. And especially in Kosher specialty stores like The Kosher Marketplace, Park East Butchers or Seasons Kosher Supermarket. It’s unlikely that you would expect to find a large selection of Israeli foods in a mini-market on Second Avenue and 76th Street. 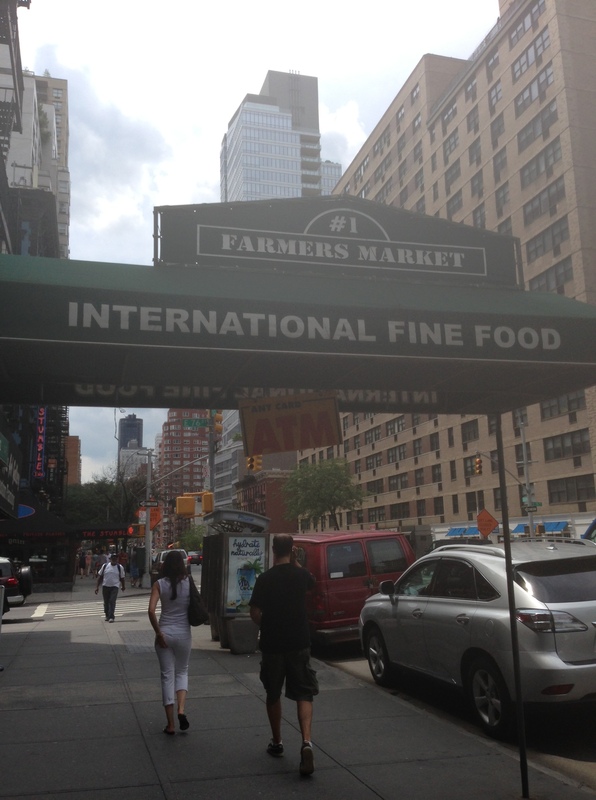 But the International Fine Foods store located there will surprise you. The inside of International Foods looks like any other small market that dots the corners of the Upper East and West sides. But as you look at the shelves, you’ll find a wide range of specialty products from Asian sauces to English crackers. What is surprising is the number of products from Israel. Not just the usual cookies and candies, but products that are not particularly Israeli but are manufactured there like flour, juices, and pita bread. The store also carries a variety of Kosher products that aren’t necessarily from Israel, like Kosher cheeses.